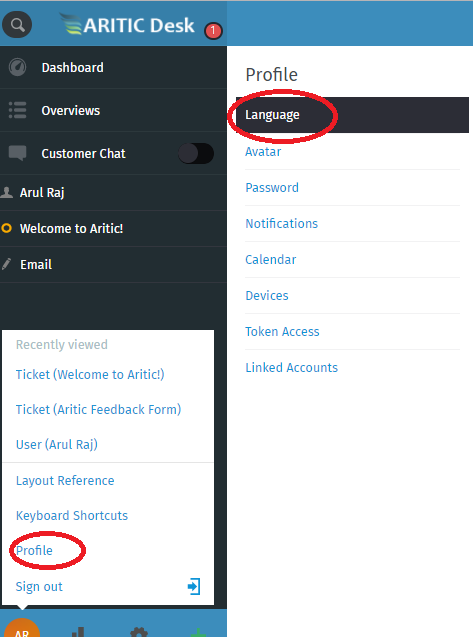 AriticDesk provides the features of language translation for the Agent Interface. To do this, follow the below steps. Go to AriticDesk Dashboard > Profile > Language. Here, the Agent can select the choice of their language they want to have and click on “Submit”.